The continent’s inland water bodies also present a number of adventures such as freshwater fishing and river rafting as well. Bookmundi examines some of the most famous and best water sports in Africa to give you an overview of the kind of adventures that the continent has in store for you. Sharm el-Sheikh has become the resort capital of Egypt and for good reason. It’s inviting locales, warm and clear waters, picturesque beaches and happening adventures are ideal for beach bums and sun worshippers. The place is also considered to be one of the best beaches for swimming and the presence of reefs along the Red Sea means that it also offers a gateway to some of the most exciting diving adventures on the planet. 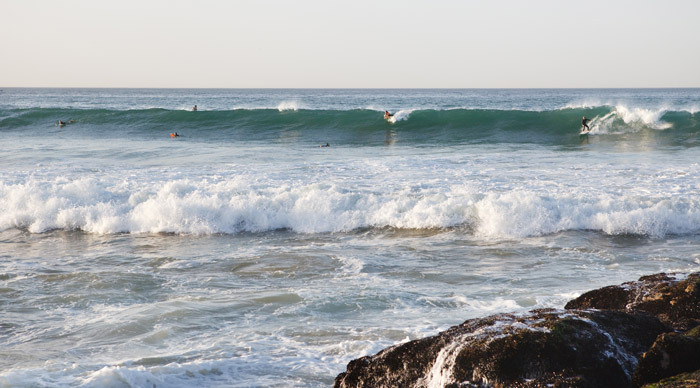 Taghazout is located in the Agadir region and has been attracting surfers from all over the world ever since the 60s. It presents two exceptional surfing spots – Anchor Point and Boilers. Anchor Point is considered to be one of the most famous surf spots in the world because of its consistent waves at all tides and those clean lines that the surf presents. Waves start at a height of 3 ft. and can go all the way up to 15 ft.
Boilers is considered to be the most challenging surfing spot in the country. Named after the boiler of a shipwreck in the area, this is one of the most thrilling spots for surfing. The ideal time to surf in Morocco is between the months of September to April. Humans and dolphins have an incredible connection. You might not have as much time as Jesse (Free Willy anyone??) to form a bond with your orca, but you can certainly enjoy one of the best dolphin adventures of your life in Zanzibar. All you have to do is set sail from the Bewjuu Beach searching for a pod of dolphins. Once you come across these beautiful creatures, stop and dive in to have the time of your life. 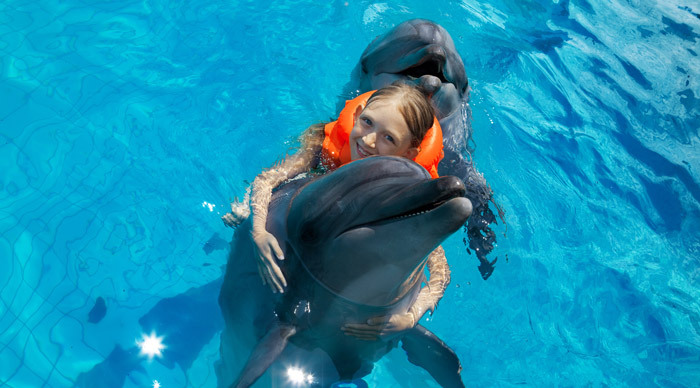 Swimming with wild dolphins is believed to give you a sense of harmony and emotional satisfaction unlike any other. There are three things that every diver needs – warm waters, clear visibility and a vast collection of things to see. Seychelles offers all three in great abundance and is famous as one of the top diving destinations in the world. The perfect way to start off with your diving adventure is at Praslin Island, a family-owned hotel that borders one of the island’s marine parks and ends on the beach of Mahe. Another exciting option is Azura @ Quilalea, an exclusive beach resort located in the Quirimbas Archipelago, Mozambique. 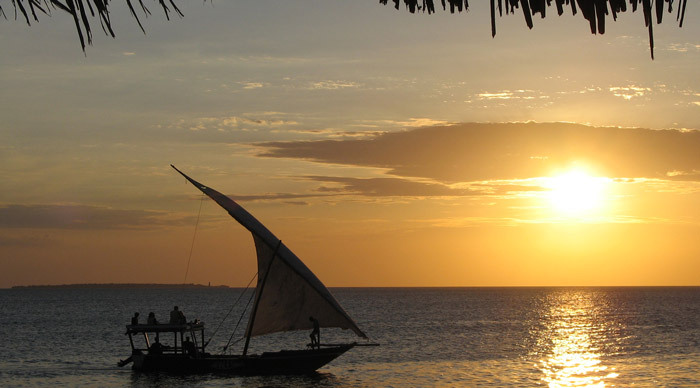 The ancient dhows that can be found in Mozambique are exactly what legends and fairy tales are made up of. Their unique silhouette has been dotting the eastern seaboard of Africa for centuries and they have been responsible for ferrying fishermen, sailors, merchants, and even pirates from one place to the other. Today, these tall-sailed dhows are used on the coasts of Kenya, Mozambique, Zanzibar and Tanzania and are incredibly popular among couples. With the warm breeze offering scents of cloves and vanilla from the surrounding islands and the setting sun leaving the skies around you in a colorful mess, dhows are known to offer some of the most romantic water experiences in Africa. If fishing is something that excites you, there are no shortage of fishing destinations in Africa. While places like Dullstroom, the fly-fishing capital of Africa, are incredibly famous, Bookmundi recommends a trip to Lake Kariba. It is the perfect place to catch tiger fish and enjoy a beautiful river adventure at the same time. Simply rent a houseboat and sail down the lake, fishing as you please. Most resorts in Mauritius offer a vast variety of motorized and non-motorized water sports that offer varying levels of adrenaline. From kayaking across a lagoon to grappling with SUP boards, from motorboating to waterskiing, there is something for all kinds of people and all sorts of experiences. And if you’re a bit seasoned with adventure sports, you can also choose from things like sailing in hobie-cats, wakeboarding and windsurfing. For those who are not into water sports, Mauritius also has its fair share of paddle boating and glass-bottom boat trips. 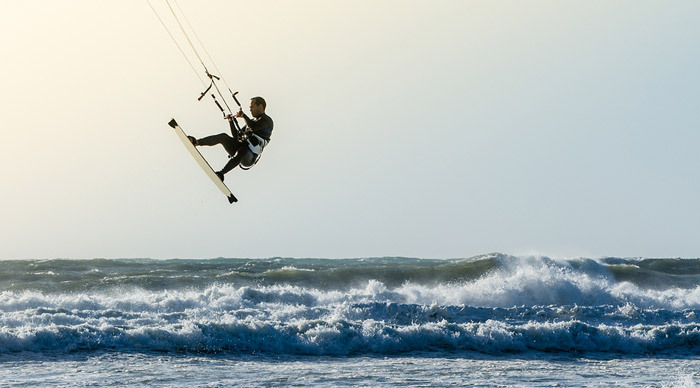 If water sports attract you and your family, you need to take a trip to the magnificent lakes and sultry seascapes of Africa, visiting at least one of the above best water sport locations in Africa. There are so many water sports to choose from and all kinds of water adventures to enjoy. The sheer diversity of the place makes it one of the richest underwater worlds and therein lies the continent’s true beauty and its real charm. This article was so informative . Thanks bookmundi team.